Post Pictures of Your Astrophotography Imaging Setup Here! LeFanch, Flexie, calypsob and 6 others like this. Ok I'll bite but later on ! need to probs take a few in the Obsy . I really should be in the sack by now , worked last night. Meant to be going to Perth ( Scotland not Australia , sadly ). Snow fall has scuppered that particular trip now. jairsinho, MLaferriere, satcomsta and 44 others like this. 8" emc, Canon 450D (Rebel XSi) 18-55 and 75-300 lenses. Canon 70DW 18-135 USM and sigma 70-300. 4000 lens kit. Orion Starshoot Autoguider. OK I'll byte , I have three camera's and a couple of converted Webcams that fit my Scopes. With home made brackets. My shots arn't that great yet but its always improving. Camera 1 A focal Fuji Finepix S5600, Camera 2 Olympus Fe310 again A focal Camera 3 Otec DC-323 Lens removed and Home made T adapter attached. Photo's Attached. Fulfilling a childhood dream. And experimentation (playing). 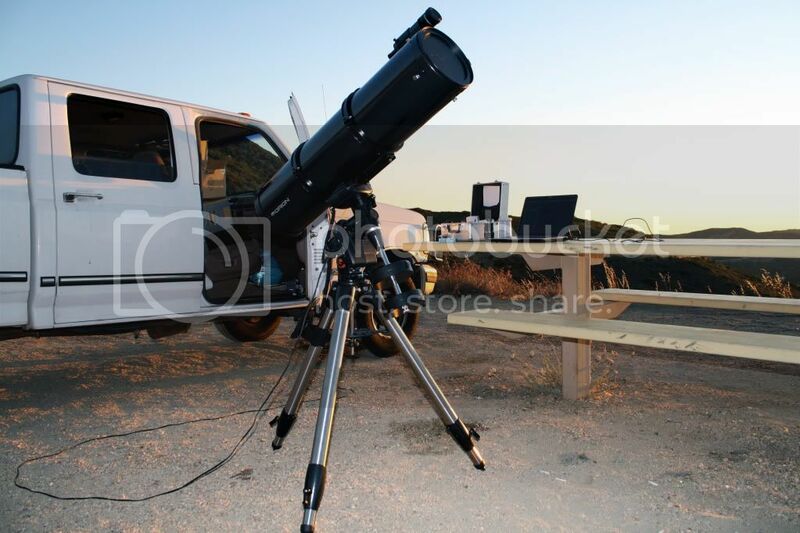 Celenstron CN-8 200mm Newtonian.Bino's and Canon 450D and 760D DSLR / Nikon P610 Bridging Camera. plus Meade astrocamera Monochrome. here's my imaging setup. description in signature below. slalles, rohitud, olddogg60 and 4 others like this. , Atik 320E CCD, Orion StarShoot autoguider, Lumicon 50mm Super Finder for autoguiding <-- nice and lightweight --highly recommended for autoguiding. heres my imaging equipment only updates are an Orion low profile 2 speed focuser and baader MPCC untested because of the weather. 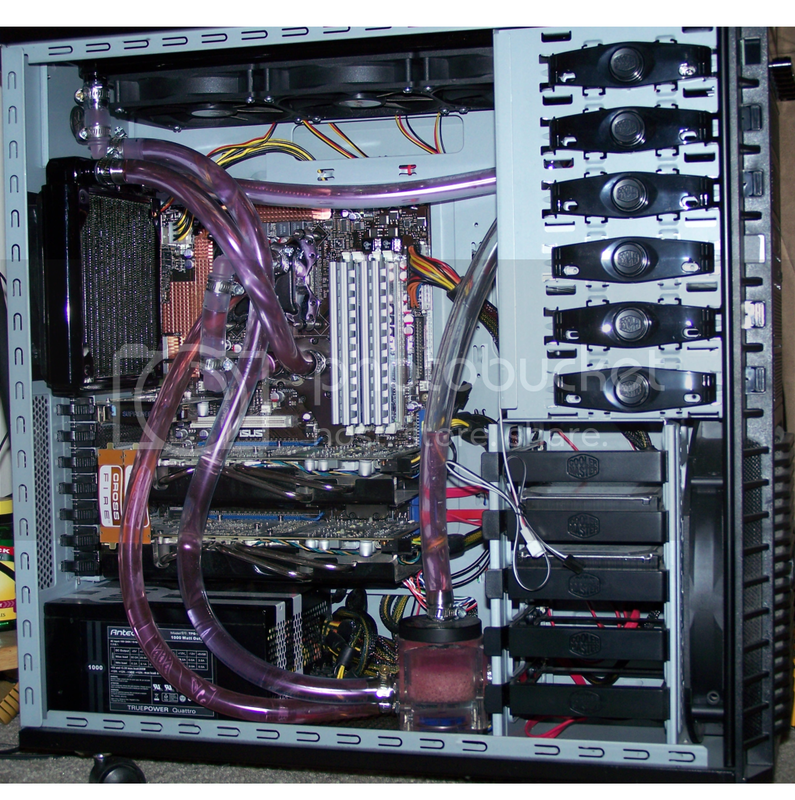 Heres a pic of my image processing rig. 8 gig gskills and two Seagate 1 TB hdds in raid 0.
satcomsta, Topdogj, KevinDuch and 18 others like this. Holy cow! Does it have nitrous injection too? slalles, MaG, rohitud and 5 others like this. jimminCT and mick286 like this. This is my last set up. I have not updated my new set up with photos, which is different only in so much as I have the Cgem. orion star shoot solitaire autoguider. Canon 5D Mark II dslr.